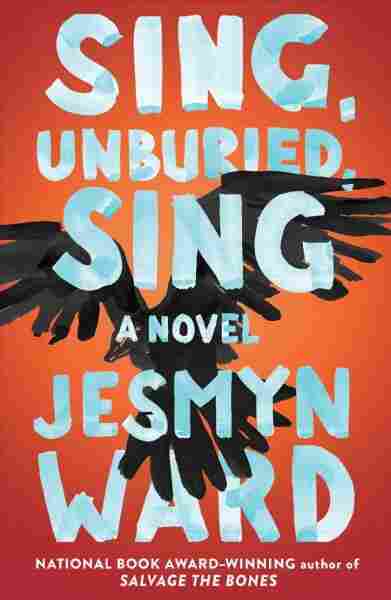 'Sing' Mourns The Dead, Both Buried And Unburied Jesmyn Ward's lush and lonely new novel is set amid the mud, blood and heat of Mississippi. It's a road-trip odyssey complicated by hunger, sickness and the murderous racism that infects the town. Sing, Unburied, Sing opens with the slaughter of a goat. "The goat makes a sound of surprise, a bleat swallowed by a gurgle, and then there's blood and mud everywhere." Yes, blood and mud are everywhere in Jesmyn Ward's Mississippi, a place full of ghosts and corpses, bayous and roadkill ("possums or armadillos or wild pigs or hit deer, bloating and turning sour in the Mississippi heat"). That oozing mud sticks to her characters: They dream of drowning, of rising waters and sucking mud. And blood, well. Like Ward's previous novel, Salvage the Bones, her new novel is set in the fictional town of Bois Sauvage (wild or savage woods). This town is a rich swamp of overlapping family ties, violent history, and ever-present racism, thrumming like a sick heartbeat through the lives of everyone in it. Jojo lives with his mother, Leonie, an addict, his baby sister Kayla, and his grandparents, de-facto parents whom he calls Mam and Pop. His white father, Michael, is in prison for drug offenses, but on Jojo's 13th birthday, right before he blows out the candles on his cake, the family gets a call: Michael's getting out. Jojo, Kayla, Leonie and Leonie's white friend Misty drive to the prison in a multi-voiced odyssey reminiscent of As I Lay Dying. They are hindered by hunger, sickness, the siren call of meth — which gives Leonie visions of her murdered brother — and the cop who nearly shoots Jojo when they are pulled over and Leonie has to swallow the bag of drugs she is smuggling. Jojo's voice alternates with those of Leonie and Richie, the ghost of a dead boy who was incarcerated with Jojo's grandfather. But Ward's ghosts don't feel fantastical — rather like a kind of heightened memory, much like the ghosts of Toni Morrison, who told NPR in a 2004 interview: "I think of ghosts and haunting as just being alert. If you are really alert, you see the life that exists beyond the life that's on top." Ward's characters are alert, too: they understand animals and toddlers, and they see ghosts because they know that history and present are the same. Their ghosts wear breeches, but they also wear hoodies. Ward exposes the chilling artifice of so many official explanations for why black men are killed and incarcerated at such high rates — for instance, when Jojo recalls his father telling him about the dolphins who washed up after the 2010 Deepwater Horizon oil spill, "oil burnt, sick with lesions, hollowed out from the insides." Michael says: "Some scientists for BP said this didn't have nothing to do with the oil, that sometimes this is what happens to animals: they die for unexpected reasons. Sometimes a lot of them. Sometimes all at once ... And when that scientist said that, I thought about humans. Because humans is animals." The title 'Sing, Unburied, Sing' seems to echo the opening of the Iliad, when Homer asks the muse to sing of unburied bodies left on the battlefield of Troy. Ward's lyricism tips occasionally into floweriness. Lush phrases smother each other, certain metaphors begin to drag after enough uses, and the novel lacks the variation in voice that helps As I Lay Dying stay interesting. Jojo's sections are by far the best, both perceptive and naive. Take the way, for instance, he sees his father trying not to cry: "something in his face was pulled tight, wrong, like underneath his skin he was crisscrossed with tape." That troubled, brilliant, prophetic voice, densely metaphorical but also childish, suits Jojo — but makes less sense coming from Leonie or Richie. The title Sing, Unburied, Sing seems to echo the opening of the Iliad, when Homer asks the muse to sing of unburied bodies left on the battlefield of Troy "a feast for dogs and birds," while the dead men's souls descend to Hades. Homer's poems were meant to act as immortal grave markers for the war dead, even as the physical graves and bodies would rot away. We're still singing for those Greek corpses; why not, Jesmyn Ward asks, sing for the generations of black Southerners undone by racism and history, lynched, raped, enslaved, shot, and imprisoned? In this lush and lonely novel, Ward lets the dead sing. It's a kind of burial.